The Pike can be hung over the side of the boat and retained. 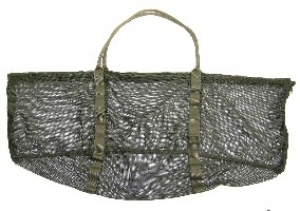 Has zipped sides and velcro to top to retain the fish. Made from airflow olive material. 120cm long by 60cm deep. Comes with its own bag. For customers from N.Ireland please email before ordering!